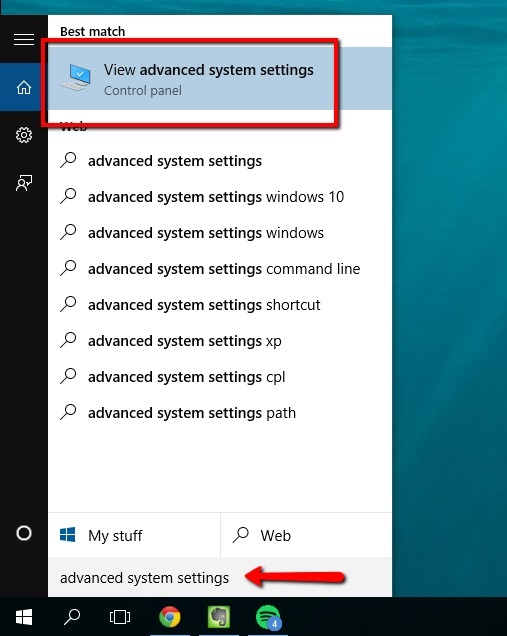 To disable the drop shadows inside of Windows 10, you need to navigate to the Advanced System Settings menu. 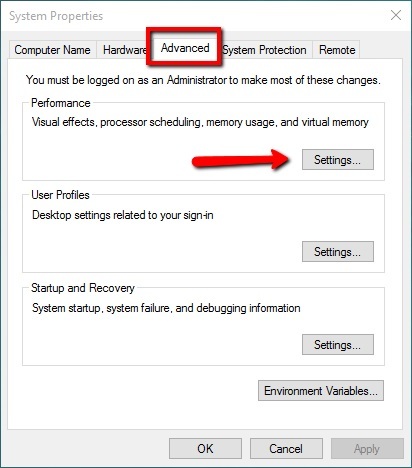 From here, make sure you are on the Advanced tab and click on Settings under Performance. 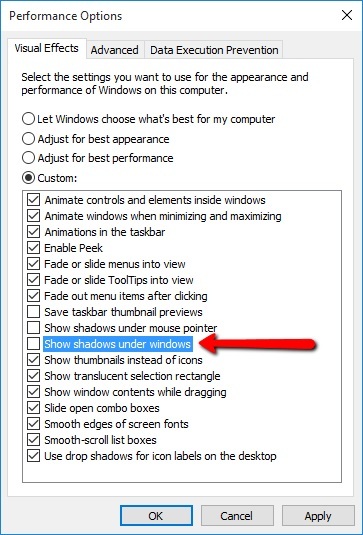 Once inside, about halfway down the list, you’ll see “Show shadows under windows”. Uncheck that box and click on Apply. This will remove the drop shadows from all windows inside of Windows 10.